All of the many pieces of a wedding invitation ensemble can be intimidating for a lot of brides. Today's post is meant to help you clearly understand the outermost pieces: the envelopes! Oftentimes the envelopes are overlooked, but I'm here to give you the scoop on why you shouldn't discount these beauties. Not only are they functional, but they are traditional, and they can really play into the overall experience of your invitations. When I talk about envelopes being traditional, this is what I mean! You'll probably want to know first-off that many brides are shying away from this tradition, and here's why. In the past, back when mail was delivered via horse, train, or some other grubby process, the outer envelope would often get soiled pretty badly. 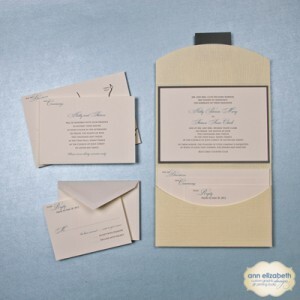 An inner envelope would keep the invitation suite immaculate and flawless. The outer envelope would be discarded upon opening. Today, our mailing system is a little less traumatic on our invitation ensembles. Yes, they get tossed around and dirtied a bit, but nowhere near where they used to be. S0, you can see why many brides opt for an outer envelope only, or an outer envelope with a custom liner (we'll touch on that in a bit). 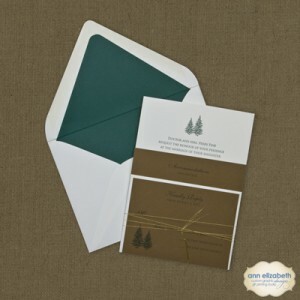 The more formal/traditional your invitations are, we recommend including inner envelopes. 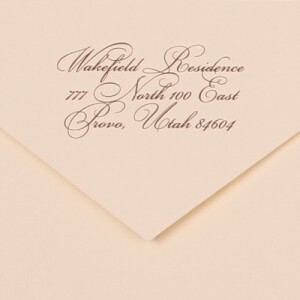 For invitation suites that are less formal, inner envelopes are not necessary. Inner envelopes are handy in situations where only certain members of a household are invited to your event. The inners provide clarity, because etiquette dictates that the names on the inner envelopes are those for whom the invitation is intended. For example, this might apply to an adults only event. Surprisingly enough, a lined inner envelope can be more cost-effective than creating a custom liner for an outer envelope (something many of our brides opt for, and which you have to do for any outer envelope liner). The reason this can be more cost-effective is, there are about 25 standard liners that are pre-made for inner envelopes we offer. So if you're on more of a budget, but a lined envelope is something you want for your invitations this is the way to go. Outer envelopes are the most familiar to everyone. 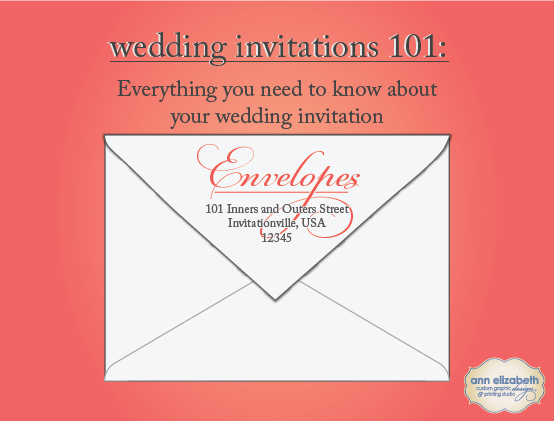 It's your typical mailing envelope with a few options to dress it up for a wedding. There are a few rules for etiquette, however. It is discouraged for the return address printed on the mailing envelopes to be different from that of "the hosts" of the wedding. If the parents are announcing the wedding, the return address should be the parents' unless circumstances prevent this. The bride's portion of the invitations and the groom's portion of the invitations should all be issued from the same return address (ie, do not print 2 different return addresses depending on whether the guests will be on the bride's side or the groom's side). no room for questions as to who in the household is invited. As stated in the heading, there are liners that come standard for certain envelope sizes, and then there are custom liners that you can have made. Standard liners are a great option if you're on a budget but are still looking for an extra pop of color. However, we really love the custom option, because the paper you choose for your liner will tie in perfectly with the rest of your invitation, whether it's used as an accent piece (like you see in the suite to the right) or whether it matches your motif exactly. There is something to be said for a custom liner; it's one of the fine details that make an invitation ensemble so chic and so glamorous. 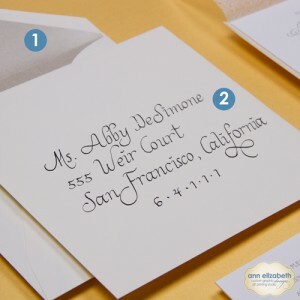 It's best to either hand-write (write yourself or hire a Calligrapher) or have your addresses professionally printed (called envelope personalization) on your outer envelopes. 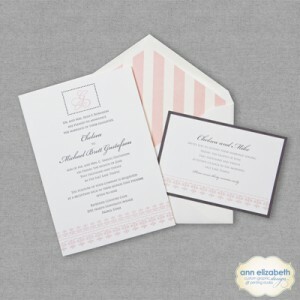 The handwriting gives an added personal touch, and the printing will be cohesive with the rest of your invitation ensemble (not to mention, you won't have to stress over writing them yourself! Saves time, and is SO worth the small cost). Oh- and did we mention that having your envelopes printed on looks a whole lot classier than labels? Just sayin'! We recommend always having your invitations hand-canceled. This lessens the chance of the post office running your delicate invitation through a machine. Most post offices have what they call a "nonmachinable surcharge," which they'll apply to each invitation mailed, usually around 20 cents. So it costs a little extra, but if you ask us, this surcharge is definitely worth it. Square envelopes cost a little bit more to mail. The same surcharge we mentioned above applies to square envelopes. And last but not least, here is today's pinnable! Don't forget to share- we love it when you do! Lost in a Font Fog? 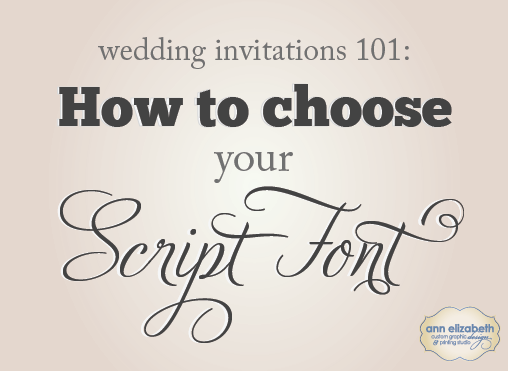 Are you overwhelmed with all the different options when it comes to choosing a script font for your invitations? You're definitely not the first, and you're definitely not alone! 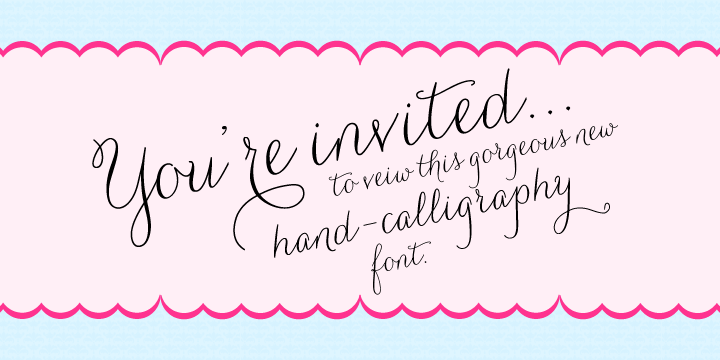 Choosing fonts for your invitations can be a difficult task, to say the least. 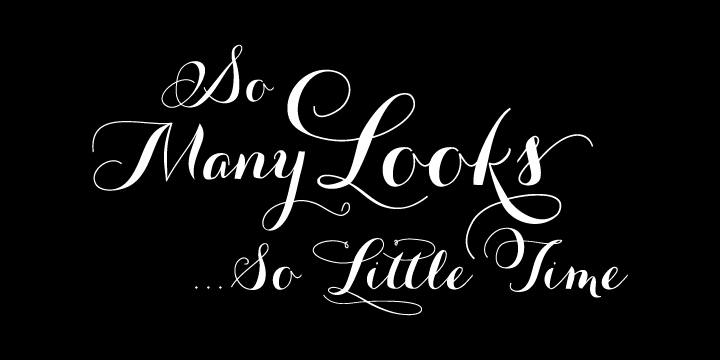 So today's post offers you some gorgeous selections of script fonts. 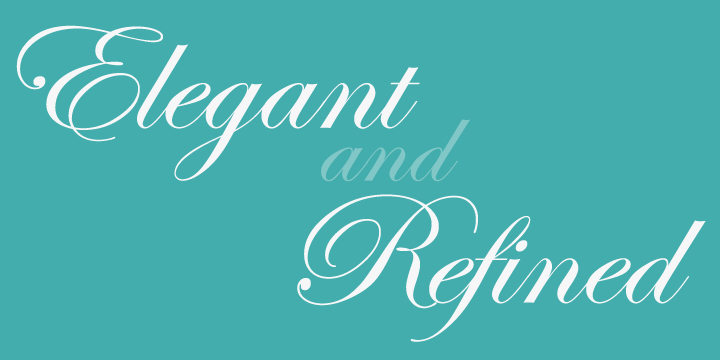 I've chosen two of our most popular types of script fonts for you to see today: Elegant/Classical, and Whimsical/Lovely. Each has their own place, and are equally stunning. 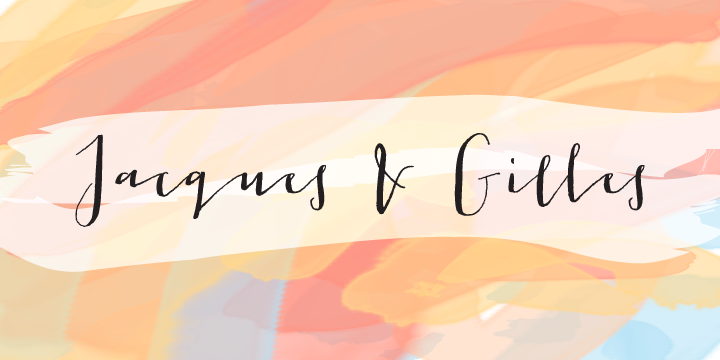 To see examples of wedding invitations using these fonts, head on over to annelizabeth.com. 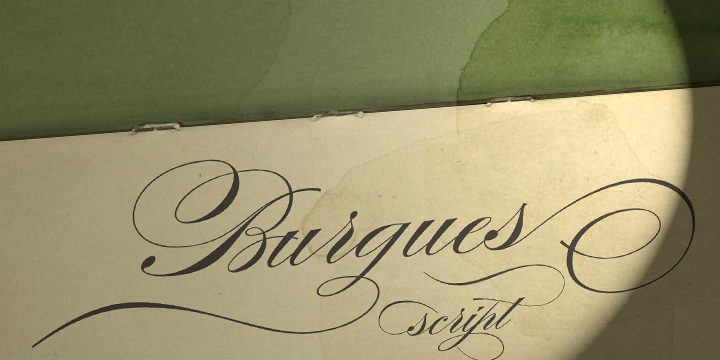 First up is Burgues Script. This font is incredibly beautiful on wedding invitations because of the graceful swirls called, "swashes" that extend from the letters. Next is Edwardian Script. This is such a classic-looking font, you can't go wrong! Bickham Script is what you see in the example below. 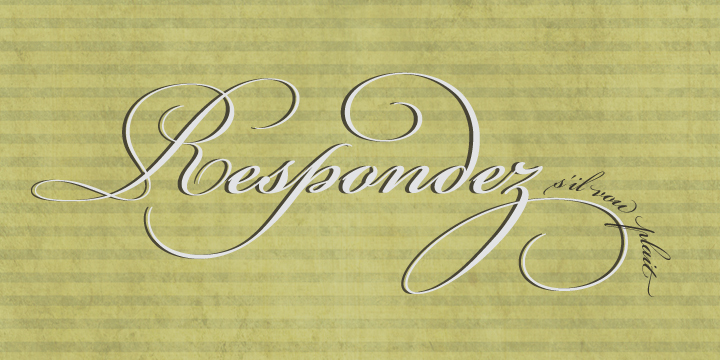 This is a nice font if you're looking for beautiful swashes like you see in Burgues Script, but a little toned down. Our next example is called Adios Script. 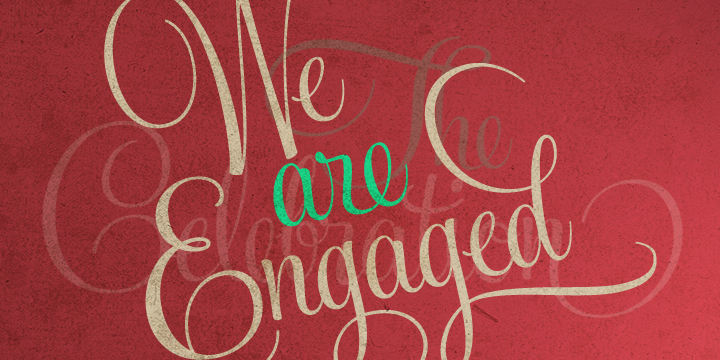 This script font is the perfect marriage of playfulness and elegance. It's so versatile that it can be used for informal and formal wedding invitations alike. 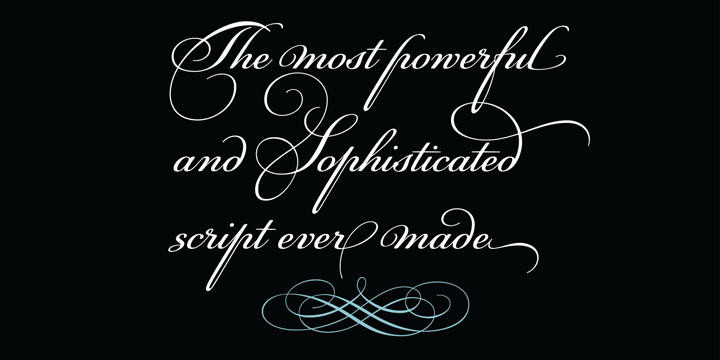 PF Champion Pro is similar to Bickham Script, but is a little more free-flowing. I'm pretty sure it's impossible for you to go wrong with this one! Next up is Feel Script, which is a nice hybrid between classy and cute. It comes off as a little more casual, but paired with the right block font, it could be used for a more formal invitation if you chose it. The next two script fonts are from the same family. The first is Carolyna: a super-cute, hand-written-esque font. We love the look of this one paired with a floral paper. So pretty! Second is Carolyna Pro Black. It's Carolyna's thicker twin. We love this font and how it is playful and elegant, kinda like Paris. Last but certainly not least is the lively Jacque & Gilly. 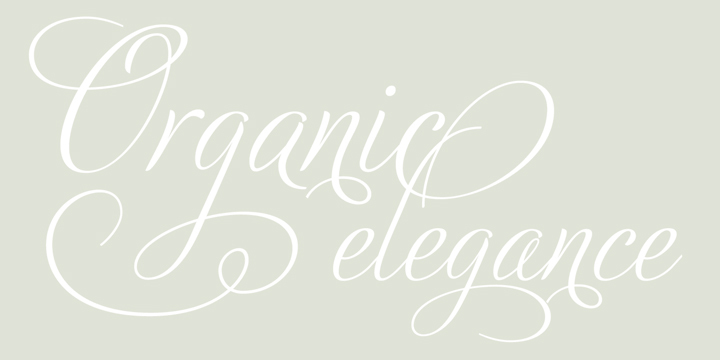 This font is dainty and feminine, and looks AMAZING when printed with Letterpress. Love. Like what you see? Don't forget to share it! Here's today's "pin-able"
Burgues Script, Adios Script, PF Champion Pro, Feel Script, Carolyna, Carolyna Pro Black, and Jacque & Gilles graphics come from their respective pages on MyFonts.com. Each photo links to that page.